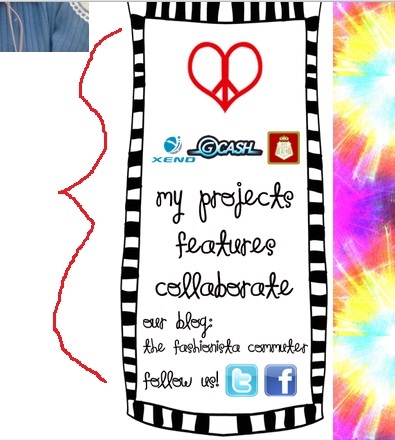 A tie dye background to make the site lively and happy! :) Good vibes lang! 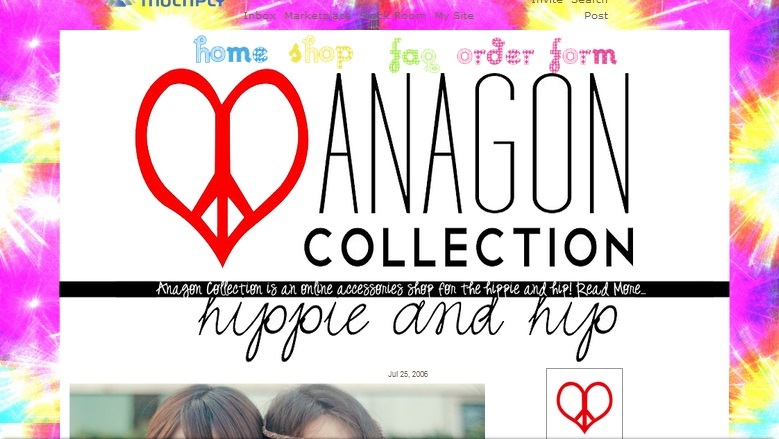 I am still using the Anagon Collection logo created by Francesca Soriano. 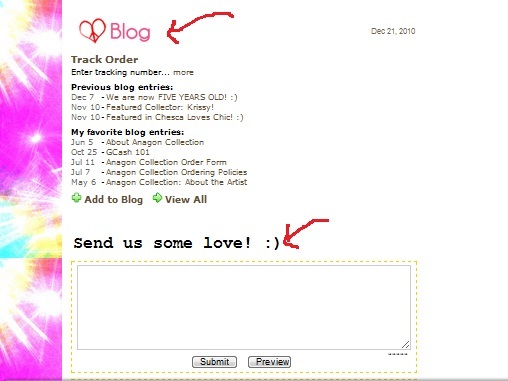 Above the logo are the four essential links to navigate my site: Home / Shop / FAQ / and ORDER FORM. There! How do you like the not-so-new site look? :) Again, thank you XY! ...Hope to see you at the PORT88 Bazaar! 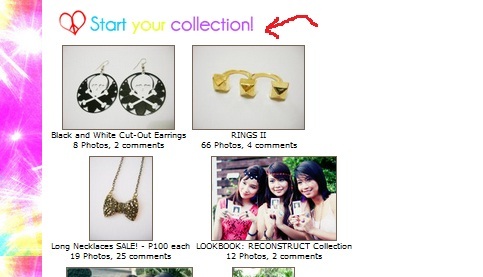 Anagon Collection's first 2011 BER MONTH Bazaar! Yey! Thank you melai sarah and nadin!!!! :) love!!! love ko ang new design! quirky-hippie! love the new layout...so hip and so you!! !